On this final Friday before the fun begins, Ben looks at the new of the week including news on the Hawks midfield, Buddy Franklin, a reality check for the Dees, a warning for Lobbe owners and a heap more! Two time premiership on-baller Brad Sewell, slightly tweaked his hamstring in the 110 point win over the Demons last Saturday afternoon. Football operations boss Chris Fagan spoke to the media on Tuesday to release the news. Ben Says: Now Brad Sewell isn’t fantasy relevant per se, given his age and defensive responsibilities. Nonetheless his injury does have consequences for young Will Langford to further his cause for Round 1. Priced at basement levels across all major competitions, Will has proven that he has no issues with finding the ball, posting an average of 93 points per 100 minutes. Whilst Sewell’s injury is only minor, it almost certainly locks Will in for a Round 1 spot. After that it’s his spot to lose, but having served a three year apprenticeship it seems that his time is now. Given the scoring potential of this youngster, consider him for a place on your field. Swans co-captain Jarrad McVeigh fronted the media on Sunday and spoke about their last preseason hit out and how he expects Buddy’s season to evolve. Ben Says: Lance Franklin has been one of the major question marks heading into the final days before lockout. Priced at $429,800 in RDT and $426,500 in AFL Fantasy, Buddy has produced scores of 31 and 44 (in a half), in his two outings during the preseason. Whilst these scores are far from awe inspiring, you suspect McVeigh is correct in suggesting that he’ll begin to hit his straps with a few games under his belt. An interesting comment McVeigh made was that he doesn’t expect Franklin to get involved with low amounts of Inside 50’s. Given Lance played a roaming half forward role for the Hawks, in which many times he’d be seen in the backline, Jarrad’s comments suggest a role change is imminent. Food for thought, but given the supply he’s likely to receive against the Giants, expect a big score first up. Paul Roos spoke to the media after Sunday’s 110 point loss to the reigning premiers. He had this to say on where the club is at. Ben Says: Over the first 2 Rounds of NAB Challenge, the Demons were the toast of the fantasy community, posting an average of 445 disposals per game, which included an incredible 444 touches in a losing side against the Cats. Against the Hawks, only one Demon got over 20 touches. This will happen occasionally for the Demons, so don’t expect blistering numbers across the board from your red and blue representatives each week. Although I’m not suggesting that we shouldn’t go heavily on the Dees if you do see value, just tread carefully with the knowledge that a substandard score could come in any given week, especially against strong opposition. Yesterday afternoon Port Adelaide elevated ex-Hawthorn premiership ruckmen Brent Renouf to the senior list, replacing the injured Jarrad Redden. Football manager Peter Rhode spoke to the media and had this to say. Ben Says: This elevation could have major fantasy repercussions for Matthew Lobbe, one of the ruckmen who could elevate himself to the next level. With an accomplished back up ruck in the side, Lobbe averaged just 60 over 8 games last season. This preseason he has been playing as a stay at home forward, mainly due to the Jay Shulz injury. Warning bells are ringing indeed and the intelligent advice at this stage is to look elsewhere. Grant Birchall spoke to AFL.com at Hawthorn’s season launch on Wednesday Night and had this to say about how his body is travelling. 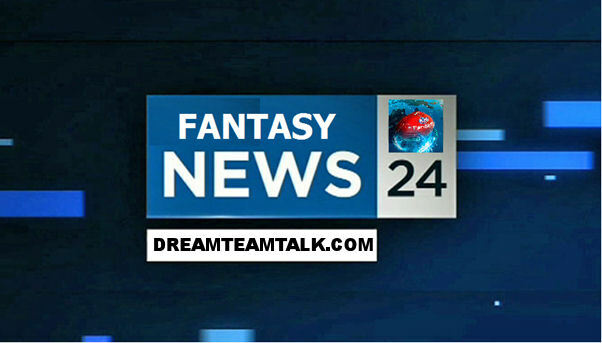 Ben Says: Grant Birchall, priced at $436,300 in AFL Fantasy and $439,700 in RDT, is look increasingly unlikely to jump back up to his high 80 average which he produced for 2 years in succession before last season’s injury ravaged campaign. Having played last weekend’s game against the Demons and not particularly impressing, it may be a good call to avoid and wait till after the bye for Grant. Given the fact that he expects to be managing this injury throughout the season, expect the odd resting against clubs considered easy beats. Made my way down to the Dogs Blues game at Visy Park on Friday afternoon and streamed the Tigers Bombers from Punt Rd as well. These were some quick thoughts I had. Higgins was flying in a very loose role at the defensive end of the ground for the Dogs. Looks fit and you’d suspect in this new role he isn’t as likely to pick up too many impact injuries. Liberatore played an incredible game after coming on at half time. Won the ball inside and outside the contest. Colleagues and I were counting the stats on a minutely basis. Gun, expect him to take another step in his development this year. Simpson free roaming role across the half back line and wing area. Malthouse seems to have made him into Scotland 2.0. Can see some very big days on the horizon for this stat padding monster. Fuller came on in the last quarter and played majority of his time on Jarrad Waite. Looks capable from the little game time he has, but clearly not in the Dogs plans early. Keep in mind for a downgrade option down the track. Cotchin was irresistible in his game play. In the first half he was everywhere, getting it inside the pack, out on the wings or winning contests deep in the forward line. Will kick a lot of goals this season, and I think that alone should see him produce 2012 type figures. Watson did what Watson does. Pressured with ferocious tackling and used the ball well inside and outside the contest. During the first half he didn’t get much space, but as the game opened up he became far more involved in the outside game. McDonough kid looked seriously good, attacking the contest with a vengeance and using the ball by foot as well as anyone out on the ground. Priced a little highly, but seems assured of minutes in a very fantasy relevant role. Houli was playing on the wing, a much different role to we have previously seen him in. Ran the lines well and used his disposal very effectively moving into the forward 50. Expect a slight increase in his scoring across the board if this role persists. This season every Friday night you’ll be able to tune into a live fantasy call of the game via ustream on Just Another Fantasy’s Radio Page! Instead of listening to unimportant comments on why one team is winning, get calls on why our fantasy relevant gems are producing the scores that they are. Will answer questions throughout the call, so shoot us a question! It’ll begin 15 minutes before the bounce, be sure to tune in! 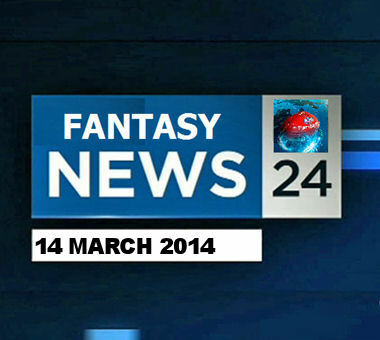 I hope you guys enjoyed my fantasy review of the week’s news. You can follow me on twitter @B_Gogos and check out my fantasy blog and live fantasy radio for Friday night at JustAnotherFantasyBlog! More on this soon to come! Have a great weekend of Footy! Anyone still trying to log on? My ELITE is not good! Roflmao Finally was able to log on, sorted team, & wham kicked out due to a high volume of traffic…hadn’t saved the team….sigh…Does this mean when game goes live I won’t be in, as My team is incomplete? Yep and still crashed. All the nice articles here are irrelevant if that Fantasy website keeps on crashing. It’s disappointing. We can’t do anything. Fellas …. Fantasy is already sucking the big one. Real DT time I’d reckon! Couldn’t agree more. Just deactivated my fantasy account. First thing it actually let me do without saying there was a problem. Just set up a RDT league for those wishing to jump ship. hey guys it’s working for me now. don’t all log in at once! Yeah working for me too. @Dools you’re the only person to comment on here with manners. Great write up Ben. Sealed the deal on having McDonough. Keep up the awesome job. NRL FANATSY has been crashing for 10 days and it started last week. FanHub Media have no idea how to run a fantasy game!!!!!!!!!!! Because the NRL site crashed and it automatically deleted peoples teams the comp and prizes dont start til Round 4!!!!!!! LOL- F A N H U B M E D I A —– you are USELESS!!!!!!!!! Thanks Ben, have liked having the recap in one place all preseason – even if I had stumbled onto some of the news myself. Are you going to be doing it all season, because with waking up to this and then the scramble on a Friday morning, we’re laughing! Thanks Ben, great article. got me thinking about a couple of changes i may need to make, eg. Lobbe. At least Lobbe doesn’t play until Sunday, should be able to get onto AFL Fantasy at some stage before rolling lockout takes place for that game. wtf is wrong with the fantasy website? It’s asking me to register for digital pass but it keeps on saying “Club member must be one of the available options”. I’ve had my team set for a week now and can’t even log on now..
Hey Guys, I’m freaking our here. I have only been given a salary cap of 6 million two hundred thousand on the AFl fantasy site. Everyone else seems to have got 10 million. Does anyone know whats going on? Its pretty much impossible to pick a team. Are you based in NSW? Sounds like you’ve had the cost of living allowance cut just from your Salary Cap like the Swans. Don’t compete against the riff raff. Take the lift to the top floor lounge and play in Coach Class, where you’ll find a better standard of opposition. Starting a few Classic dream team leagues for anyone to join. These are Real DT leagues! Anyone looking for a real dt league – 771051 for anyone interested. Small comp of 12, play head to head twice. Have had enough of AFL Fantasy!!! Put up with all of the probs (like others) for the last couple of weeks. Now I cant even log on to the site because of “invalid login or password” Even though I have used the exact same details since registration over a month ago. I for one am deactivating my account and moving to Real Dreamteam. What the f…. was the AFL thinking when it got rid of ‘Virtual Sports’ for this mob???? Feel sorry for Warnie and the rest of the team having associated themselves with a seriously deficient operation!! Join up NM2LMK4J … Highly skilled league. Up to the challenge? DT STYLE Ultimate Footy Draft league! 18 scoring players, maximum 8 coaches, captain enabled, no trade restrictions. Is anyone able to trade there players who are playing this weekend? (e.g: Gold Coast, Richmond players, etc?) All my players playing this weekend are locked. Pete from aflratings.com.au headed to watch the Bombers play their intra-club match on Friday.